US Army Tests for ESP in Animals. 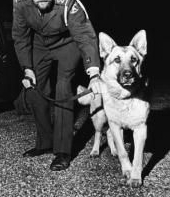 In the early 1950’s the US Army hired researchers at Duke University to research the possibility that dogs and other animals had “Extra sensory perception.” The final report for the research was completed on July 10, 1953 but not made available to the public until many decades later. During my regular web digging today I came across a series of rather disturbing videos. These videos purport to show actual testimony before a US government panel, The President’s Advisory Committee on Human Radiation Experimentation, March 15, 1995. The videos show witness after witness recounting acts of torturous experimentation they experienced as children. Torture including, electrical shock, radiation exposure and attempted mind control are consistent themes in testimony. Never doubt that men in high places will do whatever they need to do to stay in power! After reading My Twisted Life as a Scientologist (New York Post 11/15/2009), I thought it would be fun to do a little looking into Scientology’s closet. I gotta tell you, the closet is full. L. Ron Hubbard, the American science fiction writer, created a self-help system he called Dianetics. First published in 1950, it developed into doctrines and rituals as part of a new religion he dubbed Scientology. Scientology is legally recognized as a tax-exempt church in the United States. Many countries, however, refuse to grant Scientology the status of a church. Canada, UK, Germany, France Belgium, Ireland, Israel, Luxembourg and Mexico do not recognize Scientology as a religion. In Greece, Scientology was banned in 1997, and the Greek government upheld the ban in 2003, rejecting an application for Scientology to be recognized as a religion. Scientology is often referred to as a cult often accused of financially defrauding members. The teachings of The Church of Scientology are cloaked in secrecy. Most of what is known about the teachings of the church comes to us from ex-members. An ex-member takes you on a behind the curtain tour. This is the transcript of a talk given by Daniel Quinn, to an audience of homeschoolers . Quinn first caught my eye with his novel, Ishmael. Several friends of mine had read the book and spoke highly of it. Later, when I began studying modern schooling, I discovered this little gem. Enjoy! I suspect that not everyone in this audience knows who I am or why I’ve been invited to speak to you to day. After all, I’ve never written a book or even an article about home schooling or unschooling. I’ve been called a number of things: a futurist, a planetary philosopher, an anthropologist from Mars. Recently I was introduced to an audience as a cultural critic, and I think this probably says it best. As you’ll see, in my talk to you today, I will be trying to place schooling and unschooling in the larger context of our cultural history and that of our species as well. For those of you who are unfamiliar with my work, I should begin by explaining what I mean by “our culture.” Rather than burden you with a definition, I’ll give you a simple test that you can use wherever you go in the world. If the food in that part of the world is under lock and key, and the people who live there have to work to get it, then you’re among people of our culture. If you happen to be in a jungle in the interior of Brazil or New Guinea, however, you’ll find that the food is not under lock and key. It’s simply out there for the taking, and anyone who wants some can just go and get it. The people who live in these areas, often called aboriginals, stone-age peoples, or tribal peoples clearly belong to a culture radically different from our own. The first misconception that most people have about the Federal Reserve Bank is that it is a branch of the US government. It isn’t. The Federal Reserve Bank is a private company. Most people believe it is as American as the Constitution. The fact is, The US Constitution forbids its exstance. Article 1, Section 8 of the Constitution states that Congress shall have the power to create money and regulate the value thereof. Our money is being created by an international banking cartel. Today the FED controls and profits by printing worthless paper, called money, through the Treasury, regulating its value. The biggest outrage of all is that they are collecting interest on every dollar created. This is the origins of our National Debt. The FED began with approximately 300 people or banks that became owners, stockholders purchasing stock at $100 per share ( the stock is not publicly traded) in the Federal Reserve Banking System. They make up an international banking cartel of the ultra wealthy. The FED banking system collects billions of dollars in interest annually and distributes the profits to its shareholders. Here is a youtube video. An excerpt from the conspiracy film, ZEITGEIST. The movie goes on forever and culminates in the 911 terrorist attacks being planned and executed by the US Government for the profit of the wealthiest of the world. I think they are grasping at straws here but that doesn’t mean that their research of the FED ain’t right on the mark. It’s true. If your idea of healthy human relations is a dinner with friends, where everyone enjoys everyone else’s company, responsibilities are divided up voluntarily and informally, and no one gives orders or sells anything, then you are an anarchist, plain and simple. The only question that remains is how you can arrange for more of your interactions to resemble this model. Anarchism is naturally present in every healthy human being. It isn’t necessarily about throwing bombs or wearing black masks, though you may have seen that on television (Do you believe everything you see on television? That’s not anarchist!). The root of anarchism is the simple impulse to do it yourself: everything else follows from this. In 1984 the CIA produced a comic book that told the story they would like to become history. They airdropped these comics by the thousands. This was a ploy by the US to have the people of Granada see the United States as liberators as opposed to invaders.